wait a minute. i have bibliocraft! I think the conversion upgrade makes it auto-convert using the ore dictionary, so e.g. all copper ingots will stack together. what is the other file? 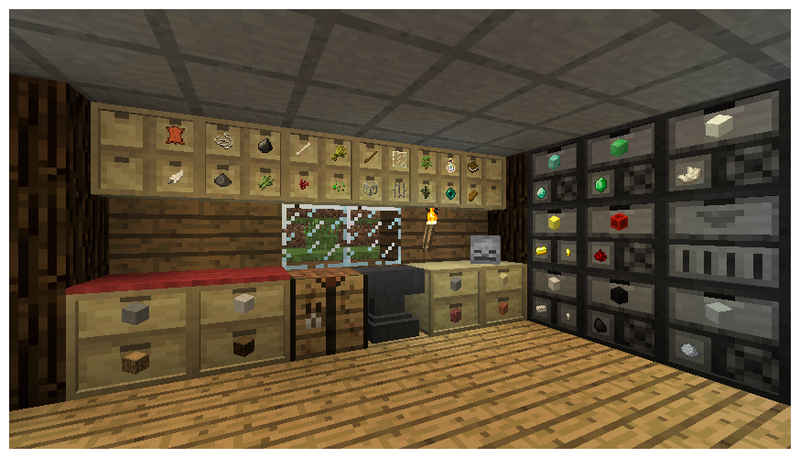 Just thought I'd drop a friendly note and let you know I'm using this mod, the Extras add-on mod, and the Compact Drawers addon mod for this one at CityCraft. 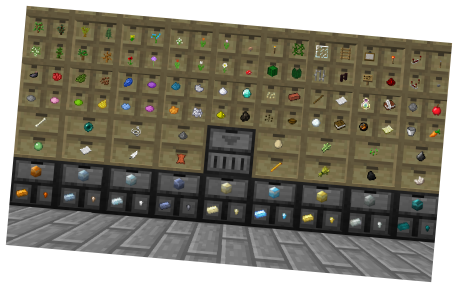 I've linked each mod to its CurseForge page here. I don't know implementation details of project red, but it must support the Forge IItemHandler interface. If it doesn't, they will not connect. Quick question, can I put 2 Half Drawers in the same block? I'm assuming their purpose is to be more compact. Nope. It's something I've thought about occasionally but there's a lot of assumptions baked into the code that would make it hard. Ah, I see. So the Half Drawers are intended to be used only for when the player's running low on wood? I added them for aesthetic reasons. Their smaller base capacity can also be advantageous in certain circumstances. Ah I see. Thanks for the replies! They can also be handy in confined spaces, you can line the walls with drawers and still walk around.